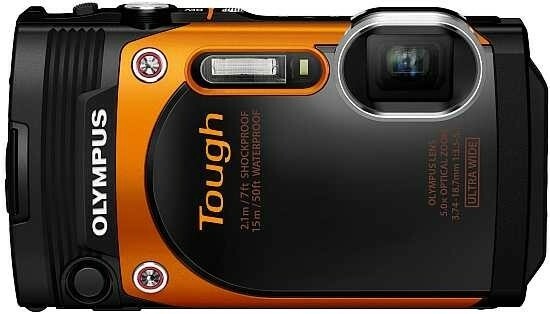 Since the Olympus TG-860 is, out of necessity and practicality, a fairly straightforward point-and-shoot camera, the only reason for its existence in a modern world where we already have cameras in smartphones and tablet PCs is that we’ll be able to shoot images in conditions in which it would otherwise be treacherous to use such alternative devices. And it’s fair to say that the need for optimum image quality is of secondary consideration to being able to achieve any image at all. It is easy enough to use, its menus are deliberately simplistic it seems, and it does the job for which it was designed in a functional and competent fashion, which is exactly what we were hoping for. While it hasn’t re-invented the wheel in terms of what we’d expect from a toughened model, perhaps that self same wheel didn’t actually need re-inventing. All things considered, the TG-860's price tag of just over £200 feels fair – not too cheap at just shy of £230, but hardly prohibitively pricey either. As you won’t be considering this camera unless you really do need to capture photos or videos in the wet, the grime-y or the dusty, and want something that feels a bit more like a traditional camera than an action camera you might otherwise mount on the handle bars of your bicycle, it feels like in making a choice of the Olympus TG-860 you wouldn’t be going far wrong.